The feature works as expected and is more mundane than you should think. You head into the browser's overflow three-dot menu, where you choose "Extensions." 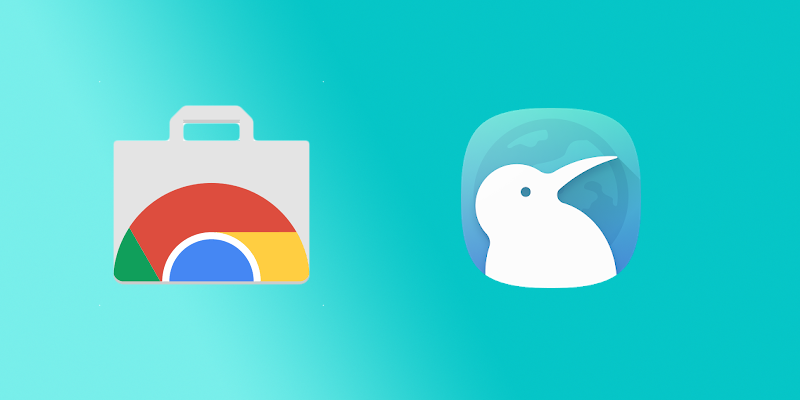 From there, you can enter the Chrome Web Store through a link labeled "Open Kiwi Web Store," which feels unfinished at best and sketchy at worst. Since Google's platform only supports Chrome Desktop, you'll see an unoptimized interface, but you can search for and install extensions as expected. I tested it with a few extensions, including our own Play-Store-enhancing Toolbox, and it worked for most. However, there appears to be a problem with add-ons that put a link inside the right-click menu, since these items didn't show up in the mobile pop-up that appears after long pressing links or images. Also, I received a notification that downloading extensions failed, but they showed up in the browser nonetheless and were ready to be used. As you can see, the feature is still in its infancy, and I guess it was rushed out to celebrate Kiwi's first birthday today. It's already been possible to use Chrome extensions on Android for a long time through Yandex. However, the browser by Google's competitor from Russia offers a heavily customized interface, which might turn off some users. 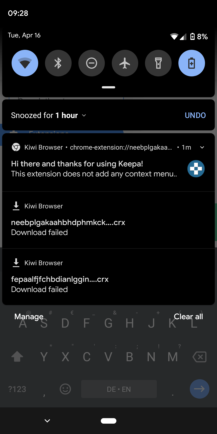 Kiwi is much truer to Chrome as we know it, and feels faster than Yandex. Also, let's not forget Firefox here – add-ons are available both on mobile and desktop, although some don't work properly on Android. 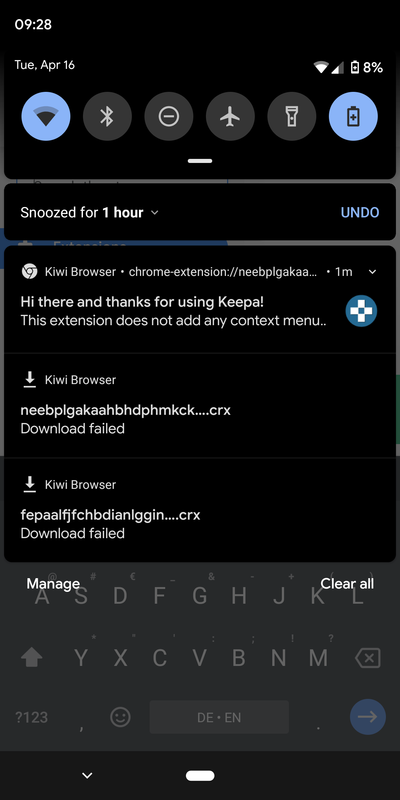 The Kiwi update is currently rolling out on the Play Store, so if you don't see version Upsilon (the 20th letter in the Greek alphabet) yet, you can grab it over at APK Mirror.